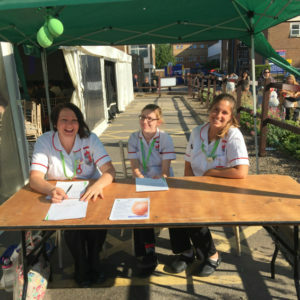 As part of its long term plan to become a fully accredited Bliss Baby Charter Unit, the Luton and Dunstable University Hospital (L&D) has rolled out the use of noise cancelling headphones in its Neonatal Intensive Care Unit (NICU), enabling parents to spend more quality time with newborns while protecting patient confidentiality during medical ward rounds. Currently during ward rounds, only parents of the baby that the doctors are discussing at that time can stay in the nursery. Everyone else must leave so that doctors can speak freely and confidentially to the parents concerned without other parents overhearing. The new wireless radio headphones will block out background noise, including conversations, allowing parents to stay with their babies even while NICU doctors and nurses carry out the daily ward rounds. The introduction of the new headphones to NICU, a project led by Claire Adamson, Lead for Nursing Clinical Quality is one of the many steps the L&D are taking to further improve their approach to family-centred care. NICU Clinical Director, Dr Jennifer Birch said “We are committed to fully involving parents in the care of their baby on the NICU and to delivering truly family-centred neonatal care in order to improve parents’ experience at this very challenging time. The Neonatal Unit at the L&D is one of only three units in the East of England who provide intensive care (Level 3) for the most premature and sick newborn babies. 1 in 7 babies born will need admission and support from the Neonatal Team. The L&D have three separate nurseries, one for intensive care, one for special care and one for high dependency. There are 37 cots in the Unit in total. 11 are intensive care cots, 8 are for high dependency and 18 are special care cots.